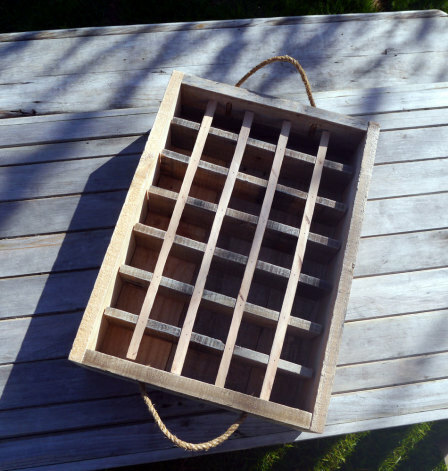 Serving tray perfect for storing and displaying bottles. Made from reclaimed timbers with rope handles. Features 24 divided spaces, dividers are removable so the tray's uses are endless. Perfect for the kitchen, dining room, living room or outdoor living area. Dimensions: Width 370mm. Length 540mm. Height 130mm. 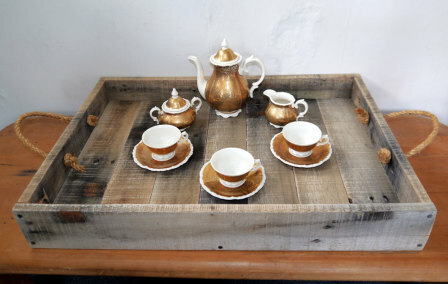 A beautiful rustic serving tray perfect for serving family and friends in your home or displaying your favourite pieces in your kitchen, dining or living room. Made from reclaimed timbers with rustic rope handles. Dimensions: Width 435mm. Length 630mm. Height 90mm. 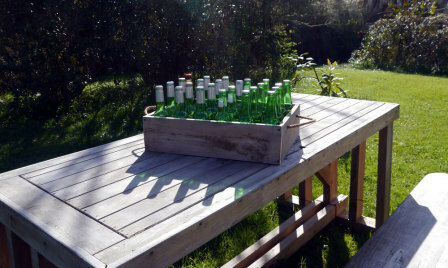 Large rustic tray ideal for storing or displaying bottles. Made from reclaimed timber with rope handles. This tray features 35 divided spaces which is also removable to make storing or displaying that much easier. Excellent to display in your kitchen, dining room, living room or outdoor living / dining area. Dimensions: Width 430mm. Length 595mm. Height 150mm.